ADARSH GRAMIN SAMAJIC SEWA SANSTHAN is located in azamgarh Uttar Pradesh . ADARSH GRAMIN SAMAJIC SEWA SANSTHAN is registered as a Society at azamgarh of state Uttar Pradesh with Ngo unique registration ID 'UP/2012/0055415' . 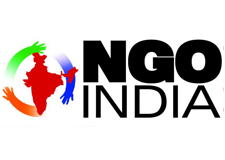 The NGO registration is done by Registrar of Societies with registration number 806 on the date of 05-05-2011, Its parent ORganaisation is ALL INDIA GLOBAL SOCIETY. The Chairman of ADARSH GRAMIN SAMAJIC SEWA SANSTHAN is satyabhama singh and Chief functionary officer is satyabhama singh. Promoters are sudhakar verma, satyabhama singh, ,. sir/madam ,my ngo is wroking in rural area .help for health and educational awereness .help the poor peoples .